BM SMART – compact hematology analyzer, 22 parameters of blood per 60 seconds with minimum consumption of reagents. Small reagent volumes help keep down the wasteful, polluting usage of laboratory chemicals. 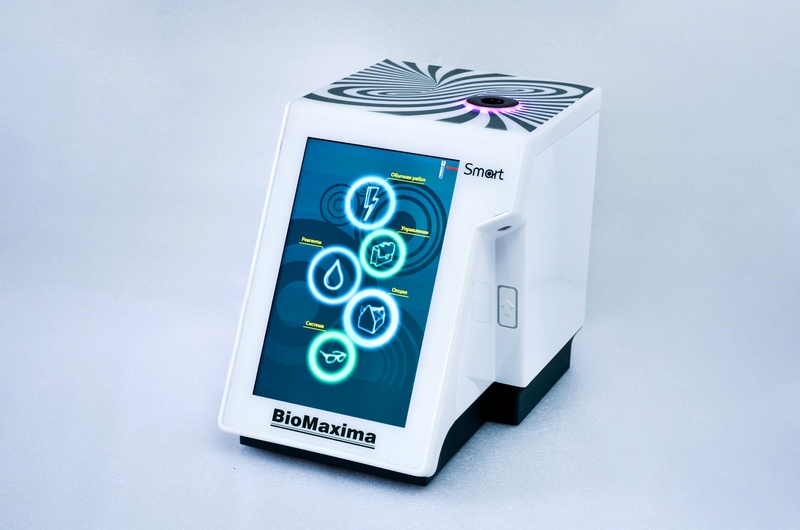 By eliminating the need of transporting tons of reagents to long distances and using a “green” result printing concept BM SMART helps saving a significant part of the running expenses, keeping cost per test low and protecting the environment. Additional external devices to BM Smart: printer, keyboard or barcode reader. © 2016 Medical company "MK KVERTIMED-UKRAINE Ltd."